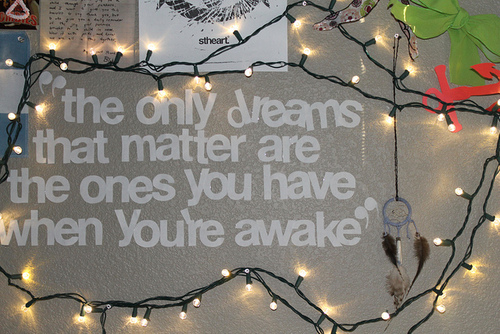 The only dreams that matter are the ones you have when you’re awake. Later our dreams begin catching fire around the edges, they burn like paper, we wake with our hands full of ash. Dreams alone with no acts toward achieving them are useless: no dreams at all is a condition of the pathetic. Dreams come to tell us something about our lives that we are missing. Actions without a dream serve you no purpose, Dreams without action merely pass the time, however, a Dream set into motion….the future has no boundaries. When your dreams becoming reality, they’re no longer your dreams. Dreams don’t smell or sound as strong as this. 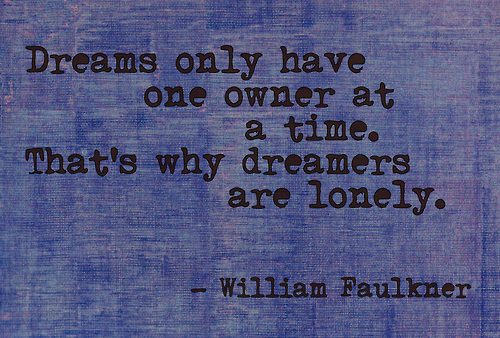 A man’s dreams are his own. 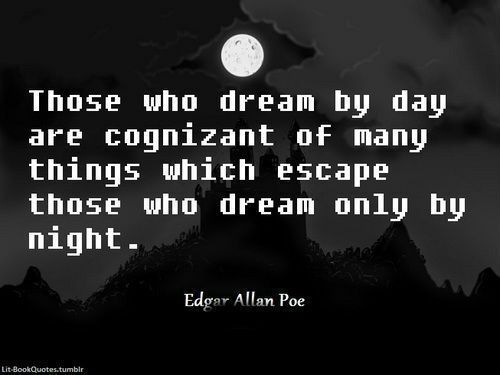 Unfortunately, a superabundance of dreams is paid for by a growing potential for nightmares. Your dreams are your spirit, your soul, and without them you are dead. Dreams can twist your emotions like no reality can.